Picture this: twenty big yellow busses surround a theater and hundreds of school children pour out of them. Many of these young audience members are about to see their first live theater production, a fabulous new production of The Velveteen Rabbit. They file into the theater and sit in their seats. The curtain rises to reveal a young boy at his eighth birthday party. 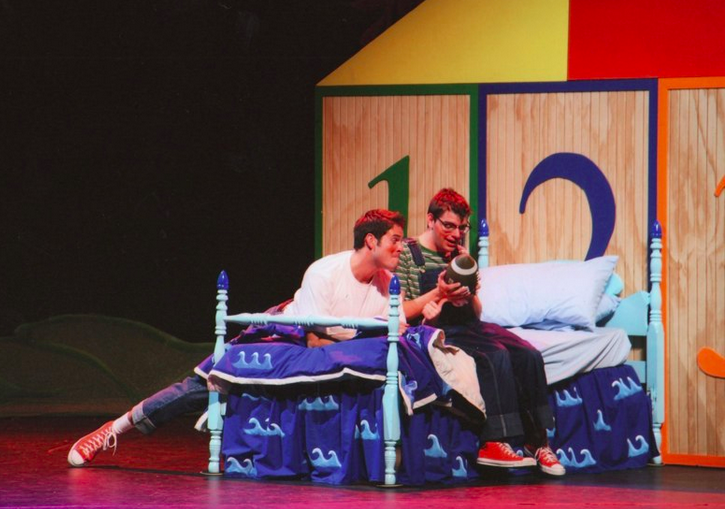 His birthday present is a Velveteen Rabbit, and as the play continues, the boy and the rabbit go sailing, they fight monsters under the bed, and the rabbit helps the little boy when he is sick. 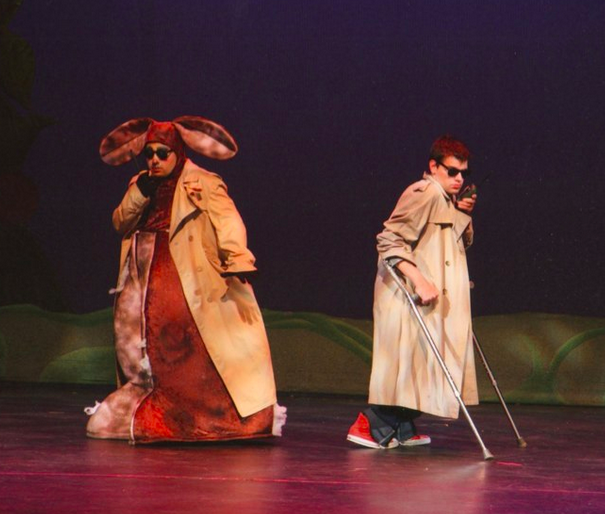 There is something different about the actor playing the little boy though: he uses crutches to move about the stage. When they go sailing, the crutches steady him as he steers a boat rocked by waves; the crutches become a sword when he fights the pirates, and he uses them to sweep under the bed when looking for monsters. In other words, the crutches become tools the character uses as the character. After the play ends, audience members tall and small approach the actor, and they ask him, “Are you really 8 years old?” The actor says, “No, I am actually twenty-three.” The parent of a young audience member says, “Have you always walked with those crutches?” The actor starts to answer the question when the child says, “What crutches?” The little girl, totally focused on the play she had just seen, had not even thought of the actor/character as disabled. The actor described above was me. The events described above all happened. I have worked with great directors and theater companies who taught me what it means to be inclusive – that is, to provide meaningful theatrical opportunities to those with disabilities alongside their non-disabled counterparts. Others started using crutches. They were surprised. “How do you make walking with these so easy?” some asked. “This is hard,” said many. In short, my cat illustrated new ways to create a character and at the same time sparked conversations about how everyone “walks” in various ways, and that each way is a good way. This is just one example of how inclusion can benefit not only those with disabilities but all participants in theater. Still, there are some directors who might say, “The disability of the actor will disrupt the flow of the story that is being told.” In a recent Shakespeare production I directed, two actors in wheelchairs wanted to take part in a sword fight scene. The speed of their chairs was simply incorporated and used to advantage. These actors were given plenty of opportunity to move around the stage and they executed the same level of fancy sword work as the other combatants. My own disability did not disrupt the flow of the story being told in The Velvateen Rabbit. It added a dimension to the story that some may not have seen before. Audience members were drawn to the story, not my crutches, because I used my disability to enhance the role. There are people with disabilities in every community. The real questions may be: Do you know where to reach them and do they know your door is open to them? 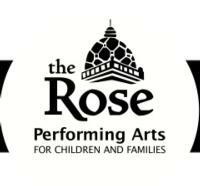 When hosting a call for actors, make sure that the notice states “actors with disabilities are strongly encouraged to audition.” It is also a good idea to research and reach out to local organizations that serve people with disabilities. If artistic directors are open to the idea of mixed-ability casting, the word will get out. In the meantime and at the very least, if AD’s feel that there are no actors with disabilities in their immediate locale, an actor can be brought in from a neighboring one to play an appropriate role. His or her presence will clearly illustrate adaptation and inclusiveness. The best way to make your theater completely open to those with disabilities is to ensure that all participants can create theater in the least restrictive environment. For example, in one recent theatrical presentation there was a middle schooler who wanted to play the lead female role. The part called for an actress with big facial expression and this girl was perfect. However, she had an extreme speech deficit. Instead of casting someone else, accommodations were made to make the role accessible for her. Her character’s lines were recorded by another student on a Vocal Output Communication Device, which she activated on stage as she pantomimed her dialogue. Creating inclusive theater experiences opens up so much for so many, those disabled or not, and creates the possibility of a world where people are applauded for what they can do instead of defined by what they cannot do. Building an inclusive company is not the easiest mission, but doing so will make the company’s work strong while simultaneously illustrating to young audiences how diverse the world really is and how different people navigate it. Striving toward this goal as a community can create an equal playing field and ultimately a barrier-free world for all.